Acadia Broadcasting has filed an application with the CRTC to acquire CIGO-FM Port Hawkesbury, NS, owned by MacEachern Broadcasting Limited. Chris Pearson, President of Acadia Broadcasting, says the company sees the acquisition of the Cape Breton station as a strong cultural fit. 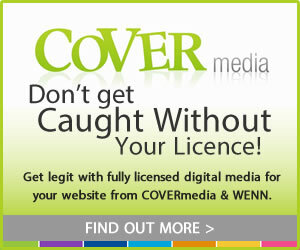 The acquisition would bring Acadia’s broadcast licences to 15. Stingray has entered into an agreement to acquire 99.5 Drum FM (CHOO-FM) Drumheller from Golden West Broadcasting, pending CRTC approval. The deal is expected to close in mid-2019. 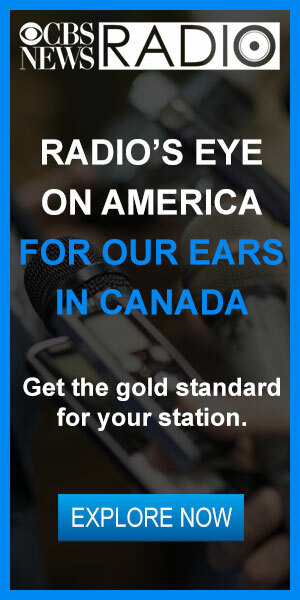 Stingray already owns Real County-branded CKDQ-AM Drumheller with Ian Lurie, president of radio operations, saying in a press release that the acquisition would allow the company to pool “challenged” resources in the small market. 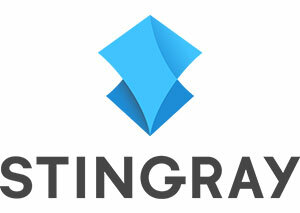 Stingray flipped its Classic Hits stations in Vancouver and Edmonton on Boxing Day. 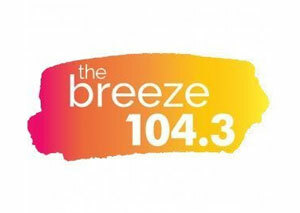 LG 104.3 (CHLG-FM) Vancouver and 96.3 Capital FM (CKRA-FM) Edmonton have been rebranded as 104.3 The Breeze and 96.3 The Breeze, respectively, playing “easy, relaxing, and familiar favourites.” Steve Jones, SVP Brands & Content, Radio, told Broadcast Dialogue, that the company has been watching the rise of The Breeze format in several U.S. markets over the past year and saw an opportunity in both Edmonton and Vancouver to fill a void. In Vancouver, the on-air staff remain intact, including Kelly Latremouille on mornings and Graham Hatch on afternoon drive. In Edmonton, Sean Burke will remain on the morning show, while Jake Taylor transitions from middays on the former Capital FM to sister station K97 (CIRK-FM). Jones said the station will be recruiting for afternoons. Rogers rolled out a new imaging package on its rock radio stations Jan. 1 that features Canadian alt rocker Bif Naked and former Howard Stern Show sound designer Ron Tarrant. They join existing voice Vanessa Marshall as Rogers’ new national imaging voices across all 10 Rogers rock stations across the country. Read more here. Okanagan Oldies (CKOO-FM) Kelowna has rebranded to “SOFT 103.9, familiar favourites.” The station has added artists like Adele, Ed Sheeran and James Blunt to its oldies playlist. It’s also introducing new weekend show Sunday Sixties. 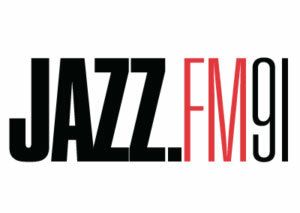 Jazz.FM91 alumnae Dani Elwell, Garvia Bailey and Heather Bambrick, have launched their own online radio station, JAZZCAST. 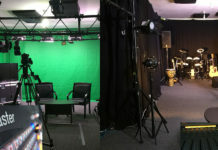 Funded right now by a Patreon campaign, the station aims to feature live and recorded programming, podcasts, live performances and interviews. 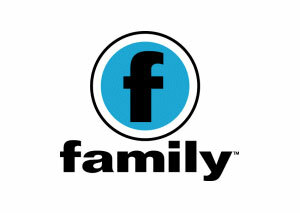 A full programming schedule is expected to be revealed in February. 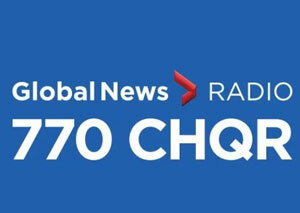 Global News Radio 770 CHQR Calgary raised $255,000 for the Calgary Children’s Foundation during a 13-hour radiothon on Dec. 7. Pledge Day donations are distributed in the spring, with approximately 90 per cent going directly to organizations unable to run campaigns themselves. Special guests included Calgary Stampeder Spencer Wilson with the Grey Cup and Mayor Naheed Nenshi. boom 97.3 (CHBM-FM) Toronto raised over $160,000 in December to benefit the Toronto & Central Ontario Make-A-Wish chapter. Over the four years of the charity drive, donations have increased 100 per cent. 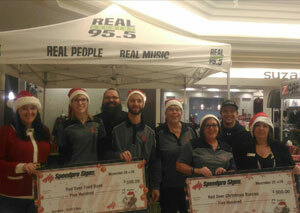 Stingray’s Zed 98.9 (CIZZ-FM) and Real Country 95.5 (CKGY-FM) held their 16th Annual Stuff A Bus for the Red Deer Food Bank & Christmas Bureau in December. Within the three days, over $30,000 in monetary donations was raised, not including toys or carts of food. The stations also partnered with Gifts For Grandparents through Family Services of Central Alberta, collecting donations of comfort items, snacks and games that were delivered to isolated seniors in the community. A cheque was also presented to Family Services for $10,000 for their Feed A Family program. Pacific Content is out with 13 Predictions for Podcasting in 2019. The podcast agency surmises that more smart-speaker specific audio will be developed; entertainment properties like game shows, soap operas and reality shows will arrive as podcasts in greater numbers; and that podcast marketing will continue to evolve, taking a cue from movies, TV and music. 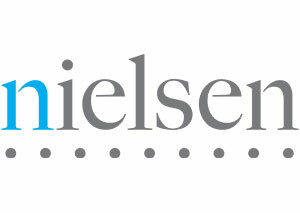 Nielsen has undertaken an ad-effectiveness study, commissioned by Midroll, that shows podcast advertising generates better brand recall than other forms of digital advertising. According to the data, podcasts generate up to 4.4 times better brand recall, and boosted purchase intent among listeners. Sixty-one percent said they were likely to buy, compared to 56 per cent of listeners who did not hear an ad. Roo Phelps, former co-host of syndicated country countdown show The Casey Clarke Show with Roo Phelps, has penned relationship tell-all 11 Weeks that’s risen to best-seller status on Amazon. Phelps, a fourth-generation broadcaster, stepped away from radio in May to explore other opportunities. Watch Phelps’ interview with KelownaNow here. 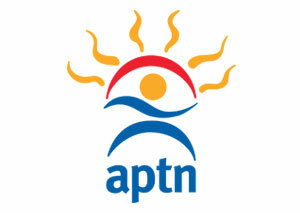 APTN is conducting a National Indigenous Music Impact Study (NIMIS), the first of its kind in Canada. The study will look at the challenges and successes the Indigenous music community faces, and its economic impact. APTN and its partners are looking to engage those involved in the Indigenous music community, including anyone (Indigenous or non-Indigenous) who creates, promotes and supports Indigenous music in Canada. The results of the study will be public and shared widely with organizations who support the community. Find more info on the NIMIS website. 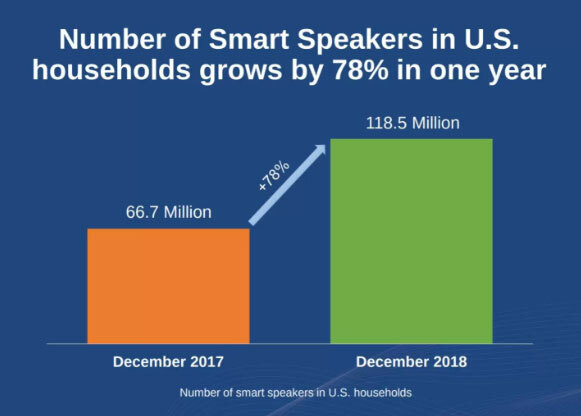 NPR and Edison Research have released new research, conducted after the Dec. 2018 holidays, confirming a 78 per cent year-over-year increase in smart speaker ownership in the U.S. 53M people A18+ (21 per cent of the population) now own at least one smart speaker. 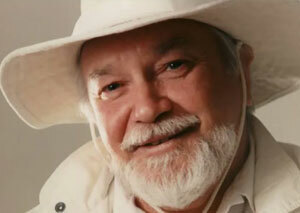 Ron Pumphrey, 87, on Jan. 8. The broadcaster, author and former St. John’s, NL city councillor was the longtime host of Open Line and Nightline on VOCM St. John’s. Known for fighting for the listener, he briefly changed the name of VOCM Open Line to VOCM Action Line, in an effort to make decision makers more accountable. Over the years, Pumphrey wrote three autobiographies and released three spoken-word albums, including How To Be Happy And Avoid A Nervous Breakdown, From The Voice Of The Common Man and Ha! So You Sleep On Your Belly, Eh, Baby? His last book, The Events Leading Up to My Death, was published in 2010. Jim Taylor, 82, on Jan. 7. Taylor wrote more than 7,500 sports columns and 15 books over a six-decade career. Best known for his sports coverage for the Victoria Times Colonist, Vancouver Sun and Vancouver Province, in addition to a nationally-syndicated column for the Calgary Sun, Taylor also dabbled in broadcasting. He served as a commentator for CKWX-AM and CBC TV Vancouver in the 1980s and later was a regular contributor on the Frosty Forst morning show on CKNW-AM Vancouver. He retired in 2001. Taylor was inducted into the B.C. Sports Hall of Fame in 2005, the CFL Hall of Fame, and received the Bruce Hutchison Lifetime Achievement Award from the Jack Webster Foundation in 2010. He was also the recipient of a lifetime achievement award from Sports Media Canada. 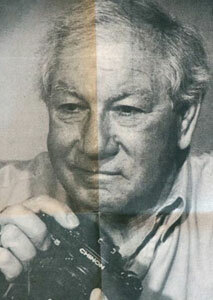 Len Chapple, 96, Jan. 2. 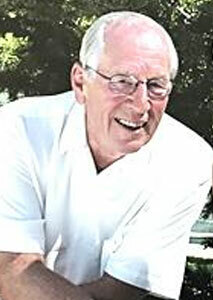 Chapple began his broadcasting career at CKMO Vancouver shortly before the start of WWII, during which he served in the Royal Canadian Air Force. He eventually became an executive producer at CBC Vancouver which afforded him the opportunity to travel for the network, working on the Olympic Games in Mexico City, Munich, Montreal, and Calgary; the first World Masters Games in Toronto and the Goodwill Games in Seattle. 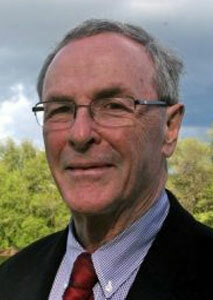 In 1978, he led CBC as host broadcaster for the Commonwealth Games in Edmonton. Chapple retired to Victoria in 1990. 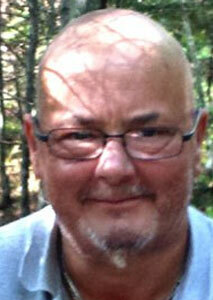 Adrian Graham, 66, suddenly on Jan. 1. Graham started his career in the early 1970s at CHCM AM 740 Marystown, an affiliate station of VOCM St. John’s. For many years he hosted the CHCM Morning Show. In the early 1980s, he moved over to VOCM as an announcer. Graham retired in the early 2000s after a more than 30-years in broadcasting. Donations in Adrian’s memory can be made to the Heart and Stroke Foundation. Ken Condon, 61, on Dec. 30. Condon was a radio engineer, working for various stations throughout Atlantic Canada, including CJCH and C100 (CIOO-FM) Halifax, and AVR (CKEN-FM) Kentville, NS. Stuart Adam, 79, on Dec. 26, of complications from a brain tumour. Adam arrived at Carleton University in 1959 from Toronto and by his final year was editor of the campus newspaper. Upon graduation he spent three years with the Toronto Star as a reporter and desk editor, before returning to Carleton to pursue his M.A. in Canadian Studies and then went on to doctoral work in Political Studies at Queen’s. While still a doctoral student, he began to teach in what was then the School of Journalism at Carleton, and in 1971 joined the faculty as an assistant professor. Two years later, he became the school’s director and served in the role for another 14 years. Along with his teaching and research, Adam continued to work as a journalist, notably as consultant and producer on 10-part CBC documentary series Lawyers; editorial director on Patrick Watson’s CBC series The Struggle for Democracy, and production consultant on CBC documentary “Rights and Freedoms.” In 1987, he took up a two-year post at the University of Western Ontario, where he was Visiting Professor and Chair of the Centre for Mass Media Studies. Shortly after his return to Carleton, he became Dean of the Faculty of Arts and later Provost and Vice-President (Academic). He retired in 2004 and took up a position as Visiting Professor at the Poynter Institute for Media Studies in Florida, but inevitably returned to Canada and Carleton. He kept an office in the School of Journalism and Communication until Parkinson’s disease made that no longer possible. In 2015, Nik Nanos, Chair of the university’s Board of Governors, spearheaded the creation of the G. Stuart Adam Graduate Award in Journalism. Michael Maclear, 89, on Dec. 25. 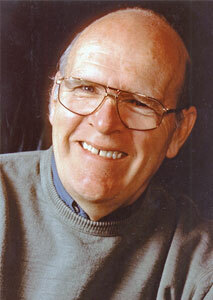 Originally hailing from the UK, Maclear moved to Canada in 1954 and joined the CBC a year later. During his tenure with the public broadcaster, he travelled to more than 80 countries as a foreign correspondent covering the Cuban revolution, the Soviet invasion of Czechoslovakia, and the Cultural Revolution in China, among other big stories of the day. 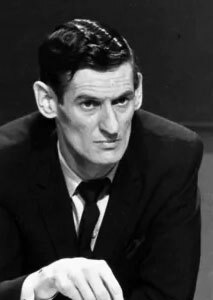 Maclear made several wartime visits to North Vietnam between 1969 and 1972 for CBC and later for CTV, the first western TV correspondent granted permission to travel to the North. In 1963, as CBC’s Far East correspondent based in Japan, he married Yoko (Mariko) Koide, a news researcher whose contacts with newsfilm agency Nihon Denpa News and its Hanoi bureau made a series of exclusive reports possible that also aired on CBS, NBC and were syndicated by The New York Times. Maclear subsequently independently produced 13-hour television history “Vietnam: The 10,000 Day War,” in 1980. 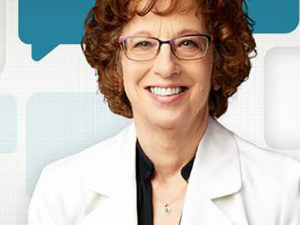 Maclear earned an ACTRA Award for Best Broadcaster, three Gemini Awards and was honoured by the Canadian Film and Television Producers Association with a Personal Achievement Award. In 2004, he received the Outstanding Achievement Award at Toronto’s Hot Docs Festival. He was made an Officer of the Order of Canada in 2008. Bert Luciani, 89, on Dec. 22. The Sault Ste. Marie broadcast veteran worked in television for nearly 40 years, holding positions with Hyland Radio and TV and Maclean Hunter Cable TV. Over the years, Luciani held behind-the-scenes roles from operating a camera to studio set-up. He worked on programs like Lionel McAuley’s Personalities in the News, public affairs and supper hour news broadcasts, and remote broadcasts including Queen Elizabeth II’s 1959 visit to Sault Ste. Marie. 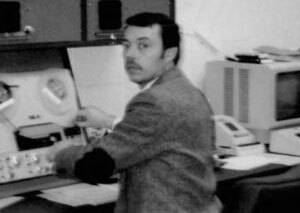 Luciani later served as operations manager with Lake Superior Cablevision, where he trained camera operators, directors, and editors. Bob Service, 84, on Dec. 14. Service had a lifelong love of radio, with his first radio show at age 14. He eventually became a broadcast engineer and helped launch CHQM AM 1320 Vancouver in 1959. He went on to a 35-year career at CBC-TV. Service was also an avid ham radio operator. Neil Arnold, 74, on Dec. 12. Arnold, whose real name was Neil Waldman, was a longtime news anchor in the Vancouver market. He started at CFUN Vancouver in the mid-1970s, moving on to CJOR Vancouver and then CKWX in the early 1980s. He later anchored for CKO-FM-4 Vancouver. 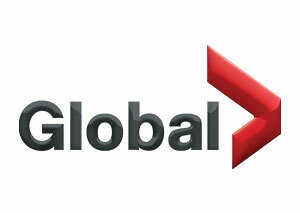 Global TV celebrates 45 years on-air this month. The Global Television Network signed on Jan. 6, 1974 at 6 p.m. with six transmitters across Southern Ontario. Studios were in a former factory on Barber Greene Road in Don Mills, ON. Facing low ratings and high expenses, by March the company had accepted a re-financing plan put forward by a group of investors, including Izzy Asper and Paul Morton, who bought a 45 per cent interest in Global Communications Ltd.; Seymour Epstein (whose Imagineering Ltd. did all of the technical work for Global and was now a creditor) bought 10 per cent; while Allan Slaight’s IWC Communications Ltd. took 45 per cent. The new owners took over Apr. 15, 1974, with founder Al Bruner and his group exiting. Read more on the Canadian Communications Foundation website. 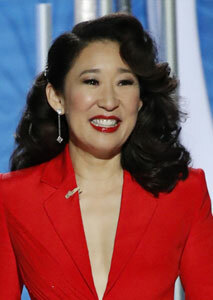 Sandra Oh made Golden Globes history as the first performer of Asian heritage to win more than one award. Oh, who hails from Nepean, ON, claimed the award for Best Performance by an Actress in a Television Drama for her role as an MI5 officer on the hunt for a female assassin in BBC America series Killing Eve. 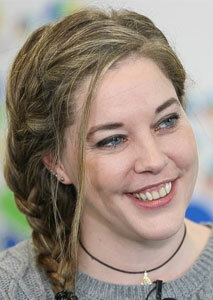 She previously won Best Supporting Actress in 2006 for Grey’s Anatomy. Oh also co-hosted Sunday’s ceremony with Andy Samberg, the first person of Asian descent to do so. She was the only Canadian nominated that took home a Golden Globe this year with Jim Carrey (Kidding), Stephan James (Homecoming) and director Jean-Marc Vallee (Sharp Objects) going home empty-handed in their respective categories. 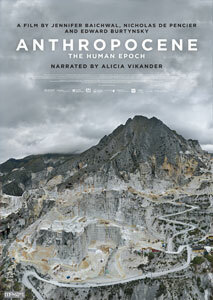 ANTHROPOCENE: The Human Epoch, a documentary examining humanity’s re-engineering of the planet, has been awarded the $100,000 Rogers Best Canadian Film Award by the Toronto Film Critics Association. The award was presented to filmmakers Jennifer Baichwal and Nicholas de Pencier at a Tuesday night gala. They share the honour with photographer Edward Burtynsky. Maison du bonheur by director Sofia Bohdanowicz and Ava from director Sadaf Foroughi received runner-up prizes of $5,000. 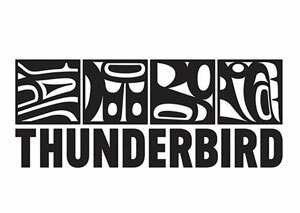 Thunderbird Entertainment Group has reached a distribution deal for the first three seasons of Kim’s Convenience with distributor Yoon & Company, who have already confirmed a cable TV release in Korea in early 2019. The partnership follows other major distribution deals for the award-winning Canadian series, including Netflix acquiring global streaming rights, and with Amazon for VOD rights in the U.S. and United Kingdom. Season 3 of Kim’s Convenience premiered on CBC on Tuesday (Jan. 8) with a fourth season already greenlit. Crave is offering its first-ever free preview this weekend. 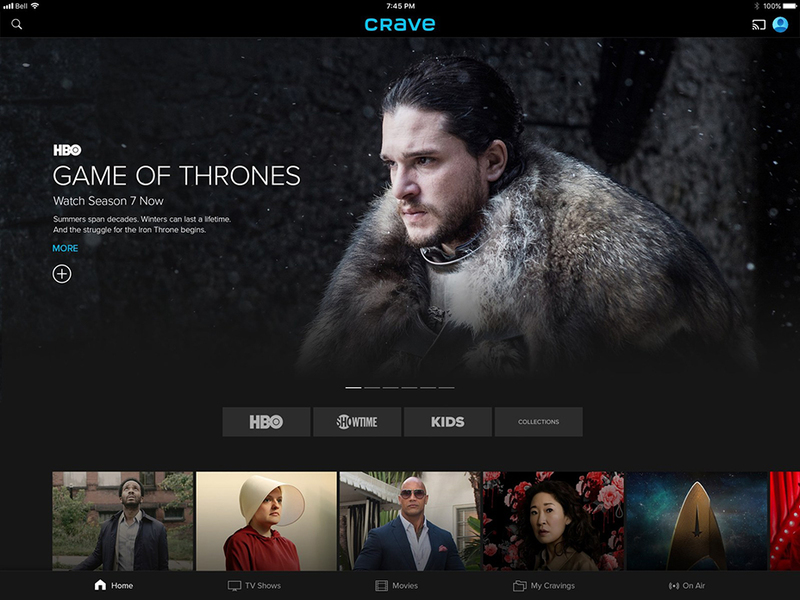 From Friday, Jan. 11 (11 a.m. ET/MT) to Monday, Jan. 14 (11 a.m. ET/MT), three of Crave’s linear channels – Crave 1, HBO 1, HBO 2 – are being unlocked. The free preview is available via participating television providers across Canada including Bell, Bell Aliant, BellMTS, Cogeco, Eastlink, Rogers, Shaw, Shaw Direct, Telus, and others. The Ontario Junior Hockey League has struck a broadcast partnership with CHCH-TV Hamilton, that will see a total of six live games air during the remainder of the 2018-19 OJHL season. 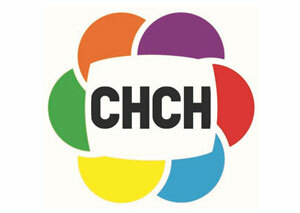 The “CHCH Game of the Week” airs Saturday afternoons at 3 p.m., with the final broadcast on Feb. 23. The deal also includes the broadcast of six episodes of The OJ Today, a weekly hockey magazine show featuring highlights and analysis from games across the 22-team league. Veteran junior hockey announcer Alex Bloomfield is handling play-by-play duties, while Alex Bastyovanszky, host of The OJ Today, serves as host and provides colour commentary. 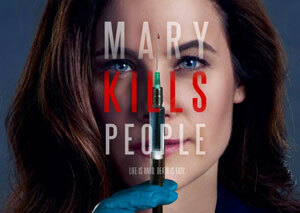 Global has announced the start of production on the third and final chapter of drama Mary Kills People. Produced in partnership with Corus Entertainment, Entertainment One and Cameron Pictures Inc., the series (6×60) will film in and around Toronto this winter, with the premiere set for spring 2019. 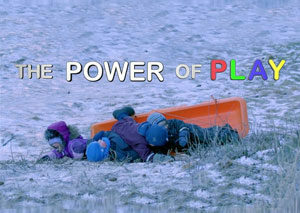 The Power of Play, a one-hour documentary exploring the science behind play and how researchers are linking play deprivation to mental health issues, will have its world broadcast premiere on CBC’s The Nature of Things on Sunday, Jan. 20 at 8 P.M. (8:30 NT) and will also be available to stream on CBC Gem from 5 p.m. ET on Friday, Jan. 18. Taking viewers to research labs, zoos, and aquariums around the world to see how animals play, The Power of Play was written and directed by Halifax’s Christine MacLean, created and produced by Erin Oakes, and executive produced by Edward Peill of Halifax-based Tell Tale Productions Inc.
Family Channel is debuting new series Holly Hobbie as a two-day television event Jan. 12 and 13 at 11:30 a.m. ET/PT. Inspired by the American Greetings character first introduced in 1967, the tween drama stars up-and-comer Ruby Jay as 13-year-old Holly Hobbie, an aspiring singer-songwriter who lives with her family on a farm outside small town Collinsville, U.S.A. 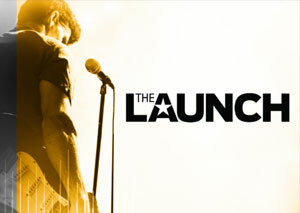 Produced by Aircraft Pictures, in association with Cloudco Entertainment and the financial participation of the Shaw Rocket Fund and Hulu Originals, the series was filmed last summer in Hamilton and Toronto. Iggy Pop and fashion designer John Varvatos will executive produce a four-part docuseries exploring the music, fashion and art of the punk movement for Vancouver-based Network Media Group Inc. and Network Entertainment. 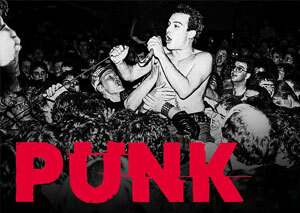 Punk will premiere on EPIX in the U.S., March 11. 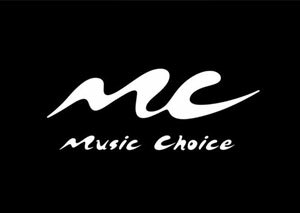 CTV has officially unveiled the 30 artists vying for a chance to record an original song on the upcoming second season of The Launch, premiering Jan. 30. The six episodes will also air day-and-date with CTV on VRAK, subtitled in French. Guiding artists through the audition, performing, and recording process are Scott Borchetta, music executive and CEO/Founder of Big Machine Label Group, and new permanent mentor Marie-Mai (Star Academie, La Voix), who join a weekly rotating panel of celebrity mentors and producers. Liz Trinnear (ETALK) also joins Season 2 in a new hosting role. 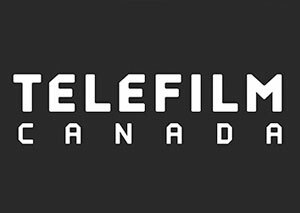 Telefilm Canada is currently accepting entries of feature-length narratives on behalf of the Festival de Cannes, and its two parallel sections, the Directors’ Fortnight and Critics’ Week, for selection screenings to be held in Montréal from Feb. 25 to Mar. 14. The application deadline via eTelefilm is Feb. 13. More info here. 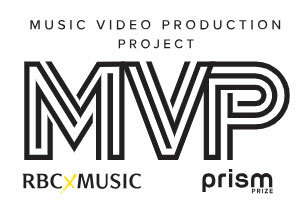 RBC and the Academy of Canadian Cinema & Television have announced the nine grant recipients of a new initiative called the MVP Project, which provides funding and networking support to musicians and filmmakers for music video creation and production. The next round of submissions will open on Jan. 15. 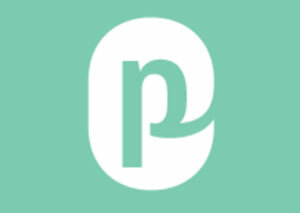 For more info, visit mvpproject.ca. 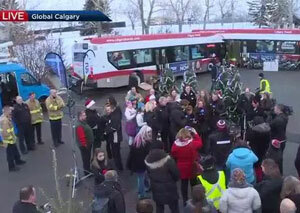 Global Calgary’s third annual Morning of Giving raised 6,500 toys and $72,000 in gift cards and cash on Dec. 12. The donations support the Magic of Christmas charity which was able to expand its reach from just over 600 families to 750 families this year thanks to the generosity of viewers. 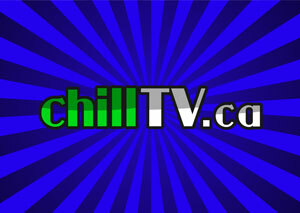 chillTV, the Chilliwack, BC-based YouTube channel started last fall to fill the void left by the demise of Chilliwack’s Shaw TV cable access channel, has plans to expand. Covering events so far like the 2018 municipal election and local Rotary Christmas Parade, the channel is now looking to offer information, news and public affairs programming. It’s issued an audition call for aspiring talent. Read more here. Digital Media at the Crossroads, a two-day conference on the future of digital media, takes place Jan. 25-26 at the University of Toronto. 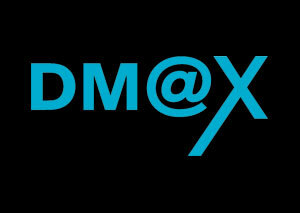 Speakers at the fifth annual DM@X conference include Gave Lindo, executive director, OTT programming, CBC; Janet Yale, chair of the Telecommunications and Broadcasting Legislative Review Panel; and Jason Kee, Public Policy and Government Relations, Google Canada. Find more info here. 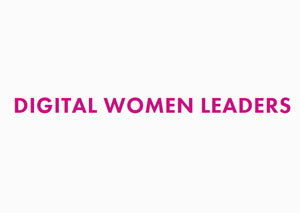 Digital Women Leaders, alumnae of Poynter’s Leadership Academy for Women in Digital Media and the Online News Association (ONA) Women’s Leadership Accelerator, are offering free one-on-one coaching sessions. Coaches like Hannah J. Wise, Manager, Interactives, CBC News, and Angela Pacienza, head of experience at The Globe & Mail, will offer job advice, feedback, etc., with a goal to correct the gender disparity in journalism leadership. Find more info here. VICE Media Canada’s fight to protect the communications of one of its journalists isn’t over. 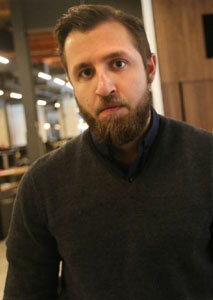 Despite a November ruling from The Supreme Court of Canada (SCOC) ordering VICE Media reporter Ben Makuch to turn over the notes of his conversations with an alleged ISIS member to RCMP, the media company is heading back to court. VICE is asking an Ontario court to revoke or amend the previous court order, based on new documents submitted Tuesday indicating that Farah Shirdon was killed during an airstrike in Iraq in July 2015. VICE Media’s application argues that the RCMP and Crown can’t prosecute a dead person and thus “due to this material change in circumstances since the Production Order was issued, the Production Order is now moot and unenforceable.” The original Production Order followed a series of articles Makuch wrote about Shirdon in 2014, and was sought by the RCMP on the basis it needed the reporter’s notes and communications via Kik messenger to properly carry out an investigation of the former Calgary man. The CRTC has dismissed, in part, a complaint against the Bell Fund from a coalition of media producers including CBC, the Canadian Media Producers Association (CMPA) and Blue Ant Media, which alleged bias in how the fund decides to disperse funding. 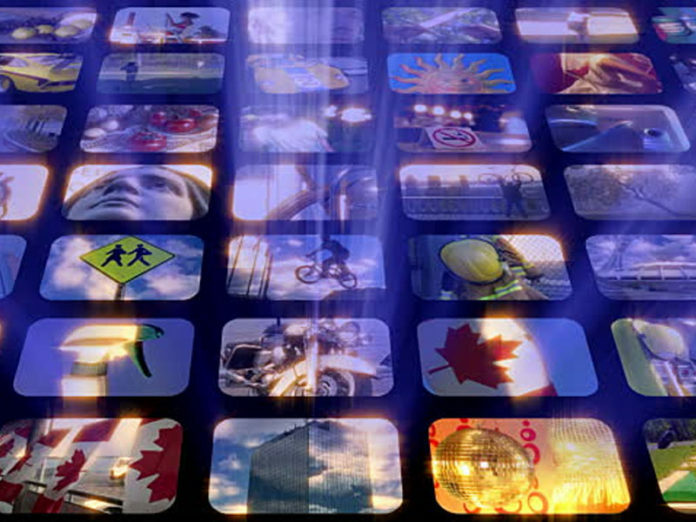 Lodged in May, the complaint suggested a new program structure unfairly favoured applications from producers working with large broadcasters like Bell Media. The group also submitted that the composition of the fund’s board of directors did not meet the requirement that at least two thirds of board members be independent as five of its eight board members were independents and three were representatives of the broadcasting distribution undertakings (BDUs) of Bell Canada or its affiliates. In this week’s decision, the CRTC said the fund’s structure need not be revised, however it ordered the fund to be in compliance at all times with the requirement that two thirds of its board members be independent and to fill any vacancy among independent board members within 90 days. In 2017, the fund doled out $9.4 million in grants to 64 projects. 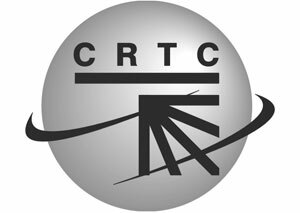 The CRTC has called for comments on a Production Report to be completed annually by large English- and French-language ownership groups with their annual returns filings. 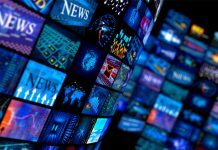 The new report would replace the existing PNI Report and include all Canadian programming expenditure categories, except news and sports programming. It would also require licensees to identify how much they are spending on original, first-run programming and other content produced by official language minority communities and Indigenous producers. Additionally, questions would be included to measure the efforts of broadcasters to commission programming made by women occupying the roles of producer, director, writer, cinematographer and editor. The deadline to comment is Feb. 6. Telus CEO Darren Entwistle, CBC Vancouver host Gloria Macarenko, and former Radio-Canada Parliament Hill correspondent Daniel Lessard are among the most recent appointments to the Order of Canada. Other appointees from the Canadian film, entertainment and broadcasting worlds include Daniel Lamarre, President and CEO of Cirque du Soleil Entertainment Group; André Simard, retired Acrobatic Designer of Cirque du Soleil; Quebec investigative journalist Jean Pelletier; television producers Barbara M. Bowlby and John M. Brunton; Serge Gouin, retired Chairman of the Board of Quebecor Media; Shaftesbury Films CEO Christina Jennings; actor Len Cariou; Cree actress Shirley Cheechoo; BBC chief international correspondent Lyse Doucet; and Decouverte host Charles Tisseyre. 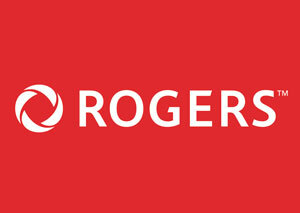 Rogers has announced it now has 300 housing partners in its Connected for Success program. 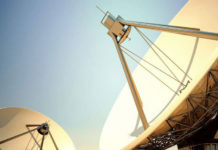 Launched in 2013 as the first program of its kind in Canada, Connected for Success offers low-cost, high-speed internet to subsidized tenants and members of housing partners across the Rogers cable footprint in Ontario, New Brunswick and Newfoundland. Over 200,000 households are now eligible for 10 Mbps download speed, 100 GB of data, free installation, and modem rental for $9.99 per month + taxes without a contract or credit check. Rogers is also participating in the Government of Canada’s Connecting Families initiative, which launched last month and offers the same service to eligible families who currently receive the maximum Canada Child Benefit. 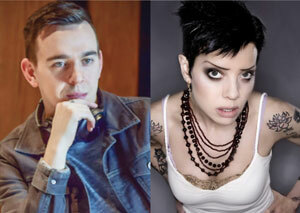 The Western Association of Broadcasters (WAB) has announced the main speakers lineup for its 85th Annual Conference. Four-time Olympic champion Hayley Wickenheiser, former Saskatchewan Premier Brad Wall and media strategist Paul Jacobs of Jacobs Media will join delegates in Banff, Alberta June 5-6. Find more info on the speakers lineup and register here. 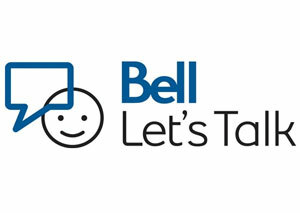 Bell Let’s Talk Day 2019 is coming up on Jan. 30 with the mental health initiative’s national awareness campaign already underway The media campaign features 41 Friends of Bell Let’s Talk telling their personal stories of living with mental illness, including Howie Mandel, Quebec actress Marie-Soleil Dion, Michael Landsberg, and Mary Walsh. 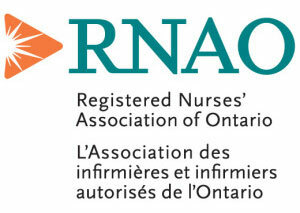 The Registered Nurses’ Association of Ontario (RNAO) annual Media Awards submission deadline is Jan. 11. Journalists are invited to submit entries published or broadcast in Ontario in 2018 that will be judged by a committee of journalists and nurses at RNAO. Previous winners include CTV News, the Ottawa Citizen, and CBC Radio as well as smaller news outlets such as Watershed magazine and the Etobicoke Guardian for coverage ranging from cuts to nursing staff to post-traumatic stress disorder among first responders. 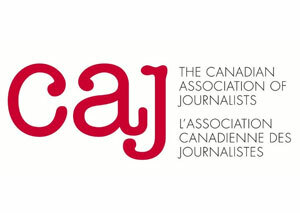 The Canadian Association of Journalists entry deadline for the 2018 CAJ Awards program, is Monday, Jan. 14. Featuring Canada’s top investigative journalism award, the Don McGillivray Award, you can find more info on the Awards section of the CAJ website. 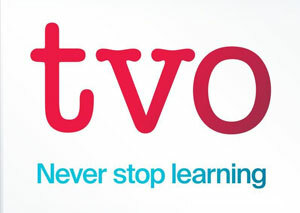 TVO is the Media Sponsor of An Evening with Bob Woodward on Jan. 17 at the Living Arts Centre in Mississauga. TVO’s Steve Paikin will interview the legendary journalist and two-time Pulitzer Prize winner. Woodward has penned 19 bestselling books including his most recent, FEAR: Trump in the White House, which sold over 1.1 million copies in its first week. Find ticket info here. 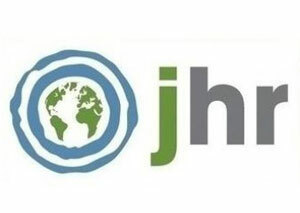 Journalists for Human Rights (JHR) is hosting the launch of Emerging Voices, the organization’s study on access to journalism education for Indigenous students, on Jan. 14 at the Ryerson Journalism Research Centre. The evening will feature a panel discussion with CBC host Duncan McCue, Kyle Edwards of Maclean’s, and Tanya Talaga, investigative journalist with the Toronto Star. Register to attend here. On our first podcast of 2019, Esther Enkin, who has retired after six years as the CBC’s complaint watchdog, and four decades as a working journalist that took her from field producing for The Journal to senior editor on The World At Six. 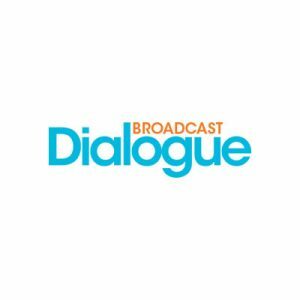 Broadcast Dialogue had the chance to talk to Enkin about the challenges facing Canadian journalism in the era of intolerance, outrage and distrust. 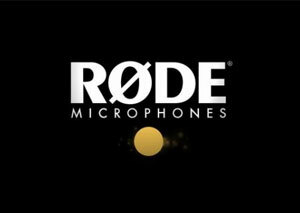 Røde Microphones has launched what it’s calling the “ultimate podcast microphone.” The PodMic is a broadcast-grade dynamic microphone designed for podcast applications that includes a built-in pop filter. It can be used with any XLR interface. 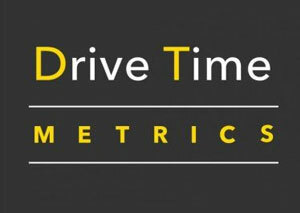 Drive Time Metrics (DTM) has been issued a patent related to the collection, measurement, and analysis of in-vehicle media usage data. DTM says the invention provides real-time measurement of any media a driver or passenger may consume while in a vehicle, including AM/FM/HD/DAB radio, satellite radio, stored media such as MP3 & CD/DVD, streaming media, internet radio, audio books, podcasts, audio/video ads, and other forms of audio/video content. The technology also extends to content from the In-Vehicle Entertainment (IVE) system, and integration with a smartphone or media player via wired or wireless connectivity, including Apple CarPlay and Android Auto.